Wastepaper Prose : Win a signed copy of SING ME TO SLEEP. 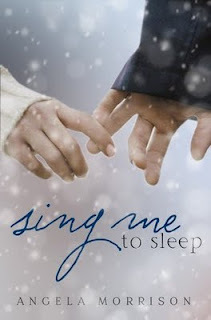 Books Make Great Lovers is giving away a singed copy of SING ME TO SLEEP by Angela Morrison. Beth has always been “The Beast”—that’s what everyone at school calls her because of her awkward height, facial scars, and thick glasses. Beth’s only friend is geeky, golden-haired Scott. That is, until she’s selected to be her choir’s soprano soloist, and receives the makeover that will change her life forever.